Anti-corrosive rubber liner is always equipped to reduce impact and friction caused by materials and grinding machine. A metal framework and anti-abrasive rubber make up the liner. Featured by stable performance and simple structure, rubber discharge end is widely used in mineral processing field. 1. Anti-corrosive rubber liner has features of wide range of performance, high efficiency and high performance cost ratio. 2. Rubber discharge end is light, thus easy to install and maintain. 4. Some metallurgy design and research institutes and universities of science and technology provide lots of technological supports. Thus, Jiangxi Naipu rubber discharge end is trustworthy and effective. 1. Anti-corrosive rubber liner should be packed in iron cases. 1. Types of payment include L/C and T/T. 2. Anti-corrosive rubber liner should be delivered within 30 to 60 days after receiving down payment. As long as purchase orders reach a certain amount, field installation and maintenance of rubber discharge end will be provided. Jiangxi Naipu Mining Machinery and New Material Co., Ltd. is a professional manufacturer. 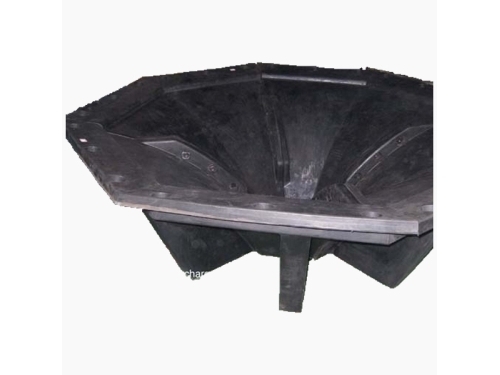 It specializes in developing, manufacturing, marketing and serving mining equipment and spares, like slurry pump, anti-corrosive rubber liner, vibrating screen panels, flotation machine spare parts and so on. All these products are certified by ISO 9001, ISO14000 and ISO18000. And they are sold in China and foreign countries, such as Australia, Russia, Brazil, Chile, Peru, etc. For more information, please contact us or visit the company’s website.